Located in Kanata, this project was a pure delight to design. The home owners had great modern design taste and commissioned Rnea to bring their ideas together. This timeless black and white master bathroom features a curb less shower system, a custom vanity with mirror, and a wall of marble to add texture in the room. 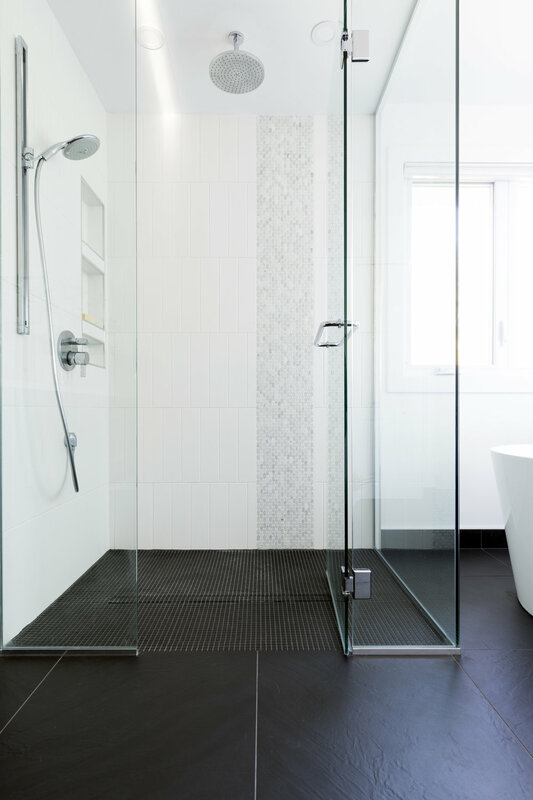 This light and airy design will keep these clients feeling fresh and clean for many showers to come.